It’s been a good summer so far for ice cream lovers – long sunny days when there is little reason not to indulge in just one more scoop of something cold. But if you find it hard to digest full cream ice cream then the answer could well be goat’s milk ice cream. 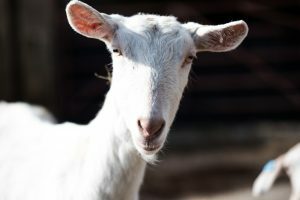 We’ve eaten goat’s cheese for years but goat’s milk ice cream is fairly new to the UK and the Dartington Dairy range of five delicious flavours is now available at all of our farm shops – choose from Madagascan Vanilla, Dark Belgian Chocolate, Garden Mint Chocolate Chip, Salted Caramel and Gin, Elderflower & Honeycomb. 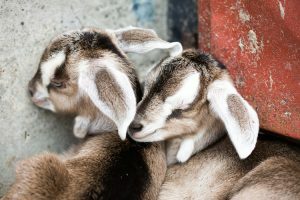 Goat’s milk is more easily digested than cow’s milk as it is the closest milk to human milk, so it can be better for anyone who has a lactose intolerance or skin complaint such as eczema. That is undoubtedly a step too far for most people but Jon’s Salted Caramel goat’s milk ice cream is likely to be a far more palatable idea for today’s children! The product has a creamy texture like regular ice cream and with its rich caramel flavour you would scarcely know it was anything other than cow’s milk ice cream. The other benefit to goat’s milk ice cream is that it is far lower in fat than artisan cow’s milk ice cream. 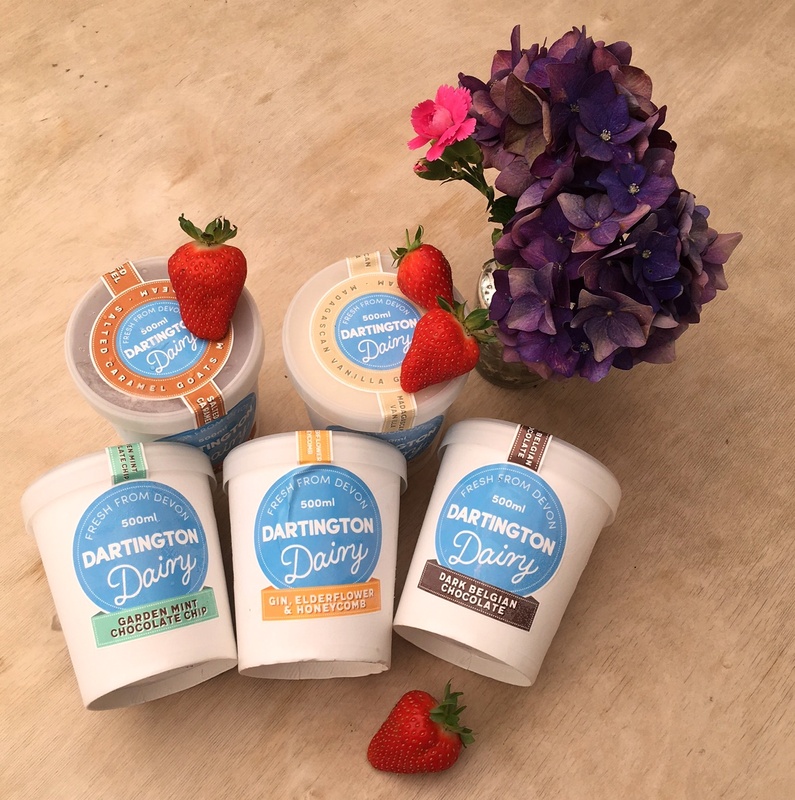 The Dartington Dairy range is made directly from the curd and is around 4% fat compared to up to 18% fat for regular ice creams. Jon and his wife Lynne took over the tenancy at Old Parsonage Farm on the Dartington estate in March 2015 and developed the idea of starting a goat dairy, selling the milk and other products locally and directly to the customer. Old Parsonage Farm was originally built for this purpose and used to run a pioneering herd of South Devon cows, so by renewing the old processing building the Perkins are resurrecting an original idea of the Elmhirsts who founded Dartington. You can visit their farm, meet the goats and help with milking every day. Details on their website here.